I think that the game went quite well, but I was bloated in generating custom enemies for the 22 different dungeons of the game, with a minimum of two enemies per floor (a normal enemy and a boss) this would give me about 440 different enemies, which I shouldn't have done. Doing so took me large chunks of that 130 hours and I could've made a much simpler procedural enemy generation system and focus more on spell and gear balance. 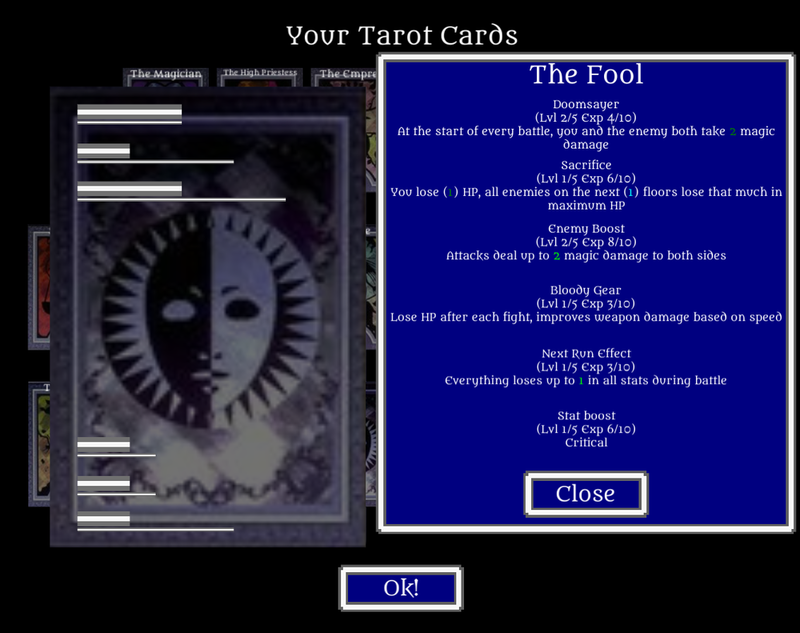 The player starts with only two tarot cards; The Hanged Man and The Tower. After completing certain levels, you get more cards. At certain card thresholds, the player unlocks the ability to cast spells, then enemy boosts, then gear, after another while special boosts for the next game run are unlocked and finally one-time stat boosts. To entirely complete the game, the player needs to collect all 22 tarot cards, defeat all 22 tarot bosses at the end of their respective dungeons, then use three pieces of gear that were useless before that and kill the tarot god to take its place. 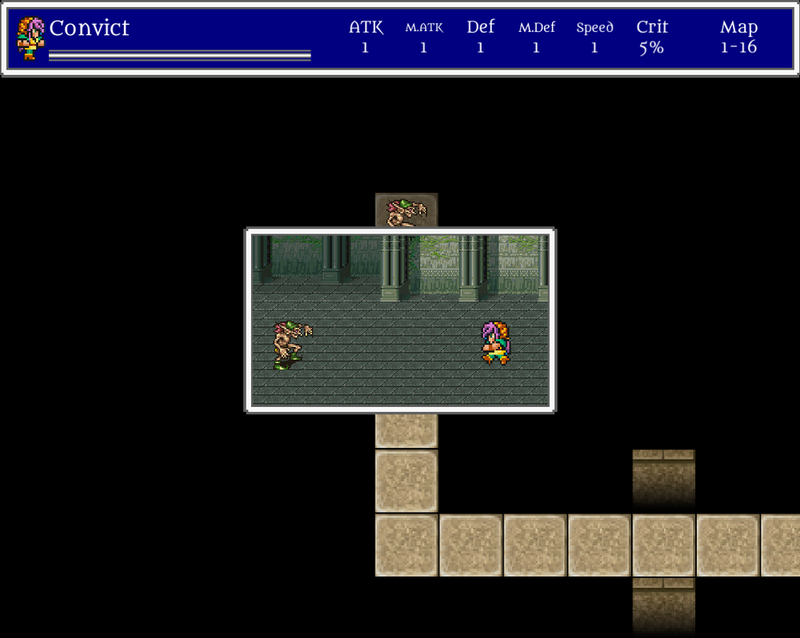 On the next run, all enemies and the player lose a few stat points at the beginning of every fight. Holy Gear: Does nothing, allows you to survive attacks from the last boss once you've fought him once. Hellish Gear: Does nothing, allows you to resist the last boss's special ability once you've fought him once. Changed "Map" to "Floor" with only the current floor displayed. People were confused about what 5-16 meant (It meant they were at the 5th floor of the 16th card dungeon), now it'll only show "5"